Here is a layout I created last night. I started out using sketch #24 from 2 Broke Girls. 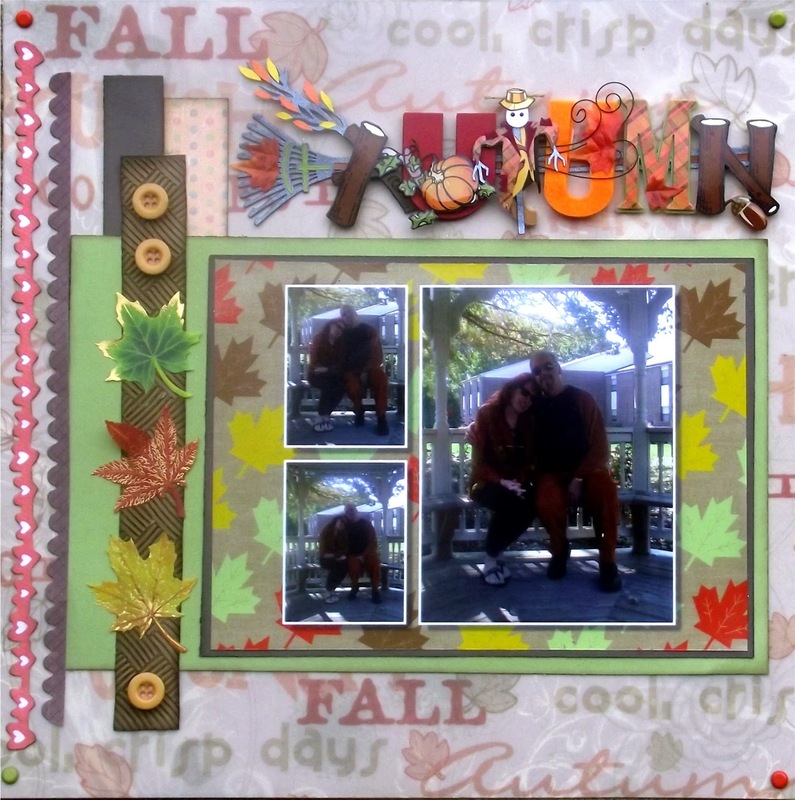 I used 3 types of embellishments that start with B (Borders, buttons and brads) for challenge #157 at the Crazy Challenge and the theme of Autumn for The Theme Park challenge on Colorful Creations. I hope you have enjoyed this little bit of Autumn inspiration. I promise to be back again later today with another! Thanks so much for stopping by. All comments lovingly enjoyed and appreciated! So pretty - you look so happy! This is gorgeous! Thanks for joining us @ 2 Broke Girls. Great layout, well done! Thanks for joining us at The Crazy Challenge.